A Facebook post about a surprising act of kindness witnessed on Vancouver’s transit system has now been shared thousands of times. Facebook user Ehab Taha of Surrey, B.C. 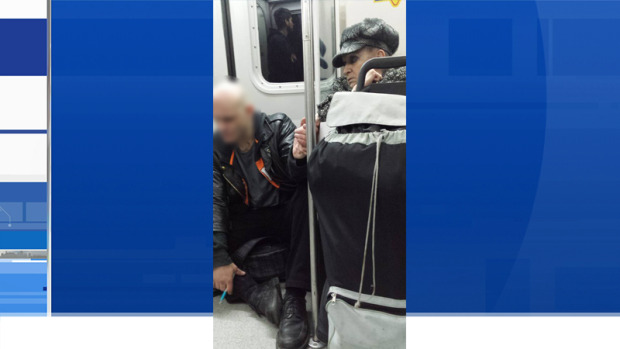 posted a photo on Feb. 2, showing an unnamed woman holding the hand of a tall man sitting on the floor of Vancouver’s Sky Train. Taha writes in the post that the man had been acting aggressively and frightening fellow passengers, perhaps due to mental illness. But he soon calmed down after an elderly woman reached out for his hand and held it until he was able to calm himself. Taha wrote that, when he spoke to the woman afterward, she told him her act was just instinctual. "I'm a mother and he needed someone to touch,” she explained before starting to cry. Taha called the incident "the most incredible display of humanity," and said it reminded him that small gestures can sometimes make a big difference. “Don't fear or judge the stranger on the bus: life does not provide equal welfare for all its residents,” he wrote. His Facebook post has since been shared more than 13,000 times.